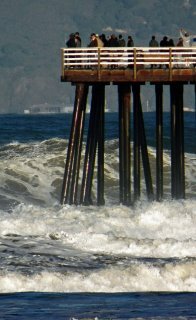 Over the weekend of April 1, 2012, Pismo Beach experienced a major wave event. 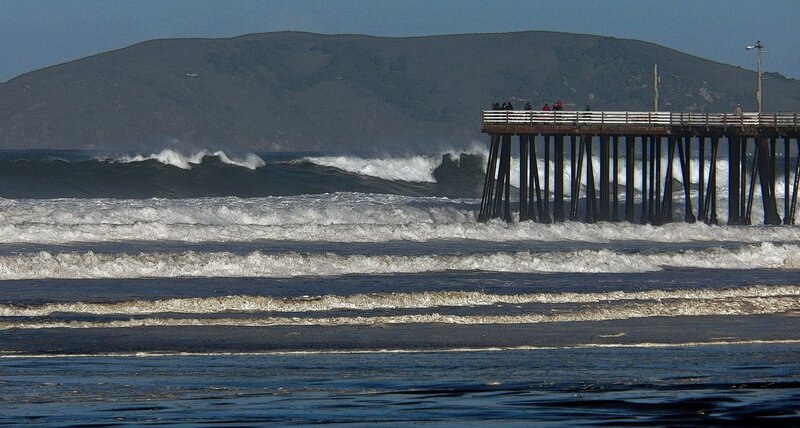 Swells, topped at about 20′ on Sunday. 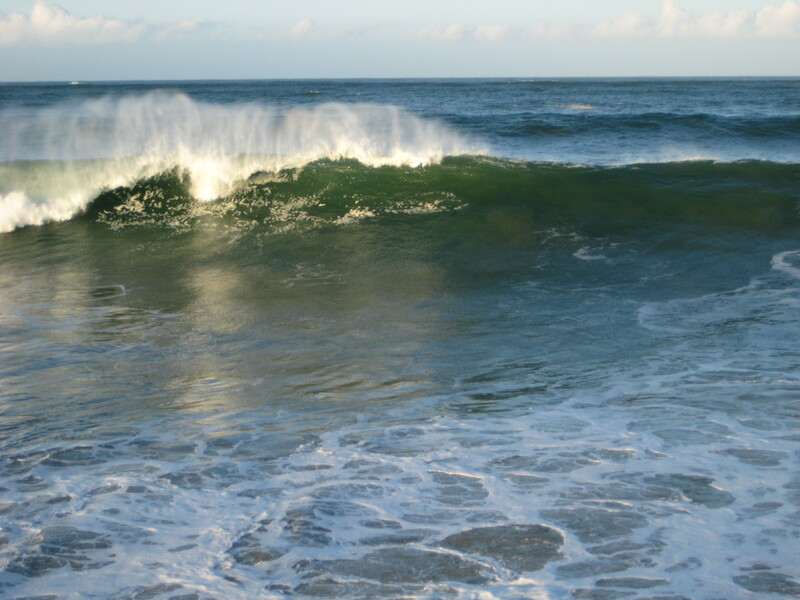 I went out on Saturday when it was 10 – 12 foot. Had a great time with some nice drops until my leash broke. My board made it in about 10 minutes before I did. Ever try to swim from far outside to shore holding a paddle? I did not go out Sunday (no one did). Below are a few pictures taken that day. 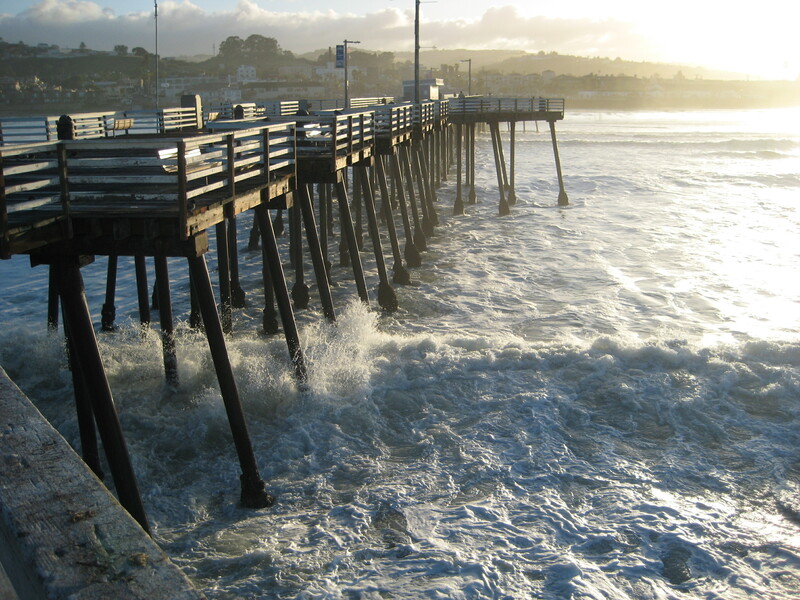 I am one of the observers on the pier getting splashed. 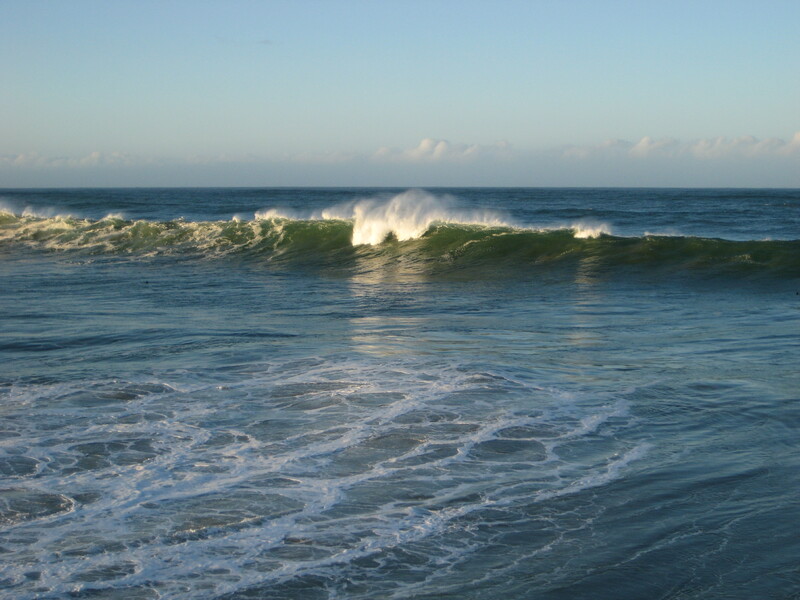 I went out on Tuesday when the waves were still head high. Got some fine lefts. My new leash held up, but I used my shin to break a fin. Just another day. 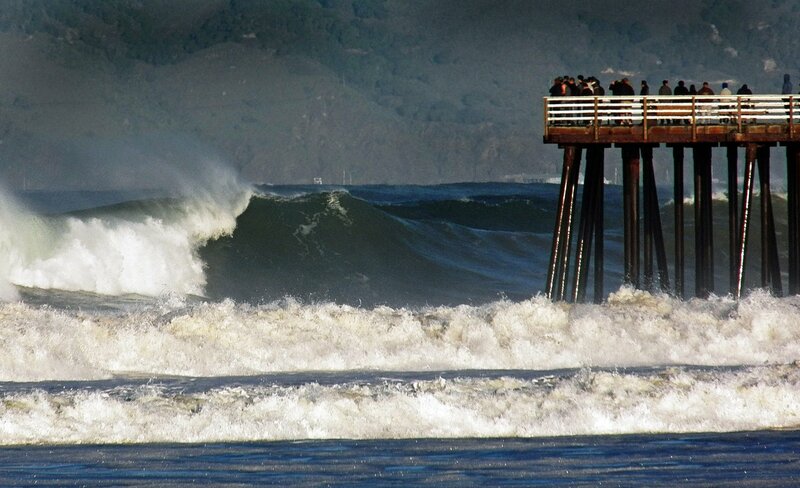 This entry was posted in Random Surfing and tagged Pismo Beach, Surfing, Waves. Bookmark the permalink.